Two whisky enthusiast brothers from Dornoch will finally start production at their new micro-distillery in the town. 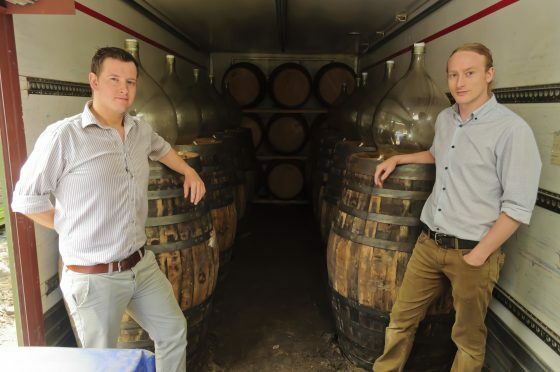 Simon and Phil Thompson, managing directors of the Dornoch Castle Hotel, expect to have their licence within three weeks and will start making their artisan gin and single malt whisky straight away. The news comes after the brothers scooped the Scottish “whisky bar of the year” prize for the second time in three years at the Scottish Licensed Trade News awards, a premier drinks industry event. They previously won the award in 2014 and have spent the past nine years building up a collection of between 250 and 300 whiskies and establishing a global reputation within the industry. And the brothers, originally form the Black Isle, see the new distillery as a natural progression from the success of the bar. Before full-scale gin production, more than 200 project crowdfunders – who gain various rewards based on their investment into the micro distillery – will taste 10 experimental gin recipes and their feedback will be used to create a final artisan gin.